First Class Flying! | Am I Nearly There Yet? Whether flying in the exceptionally sophisticated style of first class is a one off special, for instance a honeymoon, or whether it is a regular business occurrence the consistency of high quality personal service is the unique selling point of this facility. If a customer is happy to pay for the privilege of upgrading to first class flights then there are many advantages to this. The most prominent airlines with the best facilities for first classers are constantly updating their service to make sure it stands out against the premium economy or business class flights, therefore making it worthwhile value for money. Booking flights through a travel company means the stress of planning is taken care of. It also means the travel agents can find the best saving deals, so first class does not necessarily mean outlandish overspending. The flights should also come equipped with a free of charge protection plan, to be completely covered for any unlikely situations. 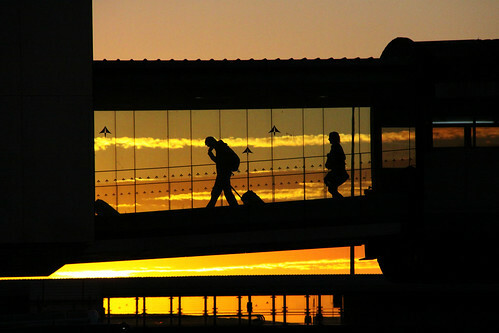 With these experts at hand, the flight plans are arranged and even travel to and from the airport can be taken care of. Waiting in queues is stressful for anybody, but in first class the customer can walk straight through, and into the first class lounge with a complimentary drink in hand. 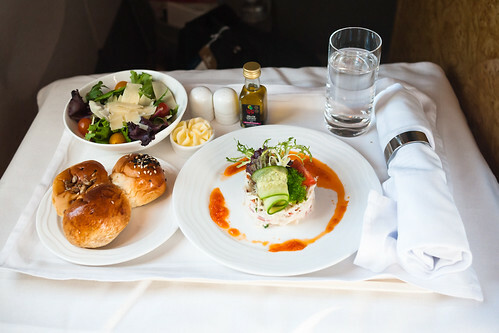 The most important aspect of flying first class is to have first class service. Predominantly this features a personal service from the start, where travel luggage will be cared for, as will any requirements for high quality food and drink. The cabin crew are spread between only a couple of passengers making sure they are able to be attentive to any requests, as well as making the journey the most comfortable it can be. 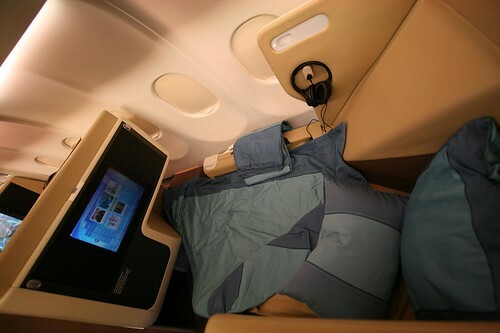 From here first class passengers can relax for the journey ahead by taking advantage of the reclining seats for a nap, spread with blankets and pillows, or the private cubicles for reading and unwinding separated by dividers. Each private suite is amply spaced, with most airlines only allowing four per row. Apart from this plenty of facilities are available to utilise for those who find it hard to wind down whilst flying, such as personal video players and even more recently internet connection. First class flights are for first class seats, so noise from the airplane will be minimal. The point of flying first class is to get to the chosen destination with as much ease possible and with high quality service provided at all times along the way.